In Part 1, I discussed the following plants I hope to include and their magical equivalents: Mandrake, Rue, Gillyweed, Wolfsbane. The rest of the list includes Dittany, Devil’s Snare, Fanged Geranium, Bubotuber, Abyssinian Shrivelfig, Bouncing Bulb, Chinese Chomping Cabbage, Flitterbloom, Flutterby Bush, Gurdyroot, Honking Daffodil, Leaping Toadstool, Mimbulus Mimbletonia, Screechsnap, and Venomous Tentacula. Last time I forgot Dirigible Plums so I will add that here. I will talk about a few of those here. The Bouncing Bulbs, Shrivelfigs, and the Leaping Toadstools are not real plants so I do not break any rules by making them out of clay. I hope to have the bulbs and toadstools animated (if I get the time). The bulbs will be in a cage bouncing about and the toadstools would be popping up and down in a tray of soil. 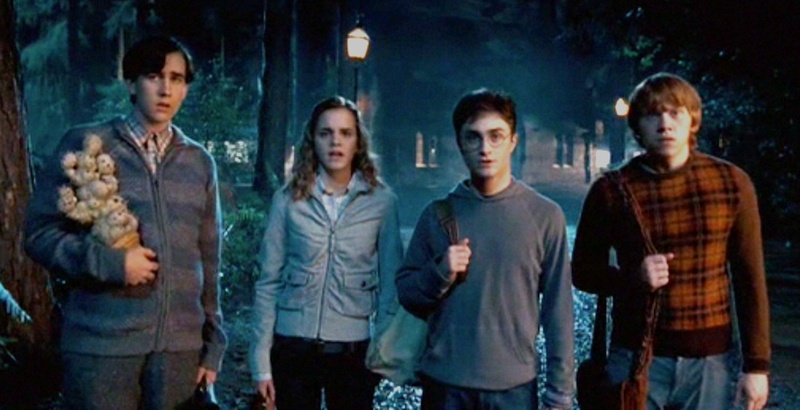 In the Harry Potter Wiki, the Bouncing Bulb is described as purple “with a bunch of leaves growing on the top.” Young bulbs can be held in the hand but “mature ones can reach the size of doorways.” Bouncing Bulbs are aggressive and so the cage should contain them. Most of the information on bouncing bulbs comes from Harry Potter video games and not the books or Pottermore. Also in the Harry Potter Wiki, Leaping Toadstools are described as “a magical mushrooms which has the ability to jump.” The pictures throughout Pottermore show a mushroom with an orange/red cap with white spots. 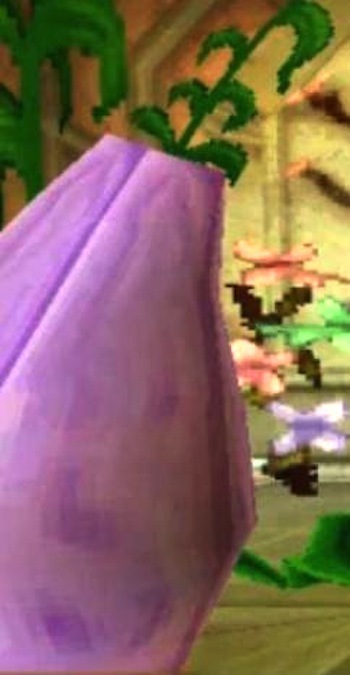 The plant also shows up in the HP card game and in some video games. The Shrivelfig (called Abyssinian Shrivelfig in the book when the students are being taught to prune it) is also a magical plant. When the pods/fruits are cut up, they are an ingredient in several potions. Shrivelfig can be bought in the Apothecary Shop on Pottermore and shows up in games. It is also on the Harry Potter Wiki. Today’s real-plant challenge: Bubotuber, Mimbulus Mimbletonia, and Dirigible Plum. This is a magical plant that creates a thick liquid called bubotuber pus that can be collected by squeezing some part of the plant. 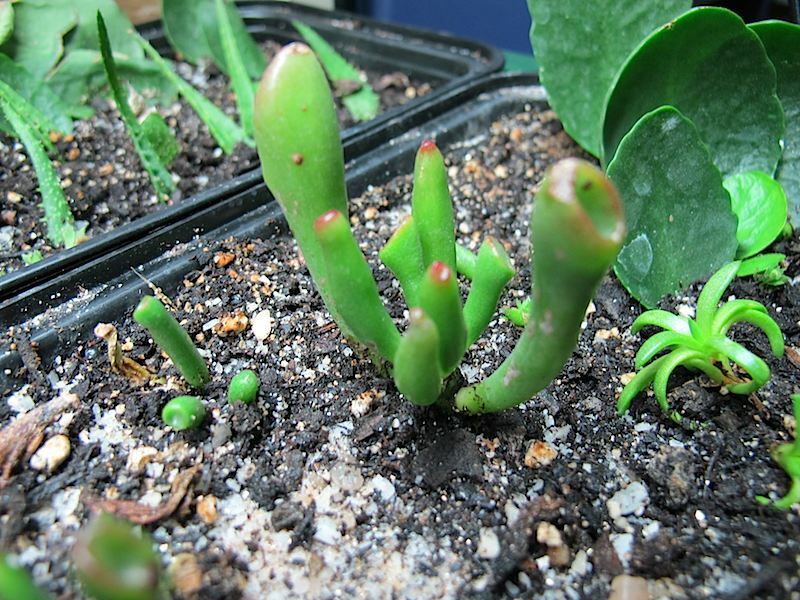 They are described as resembling thick black slugs but since finding a plant like that is not likely, I thought this Crassula argentea would work because of its shape. 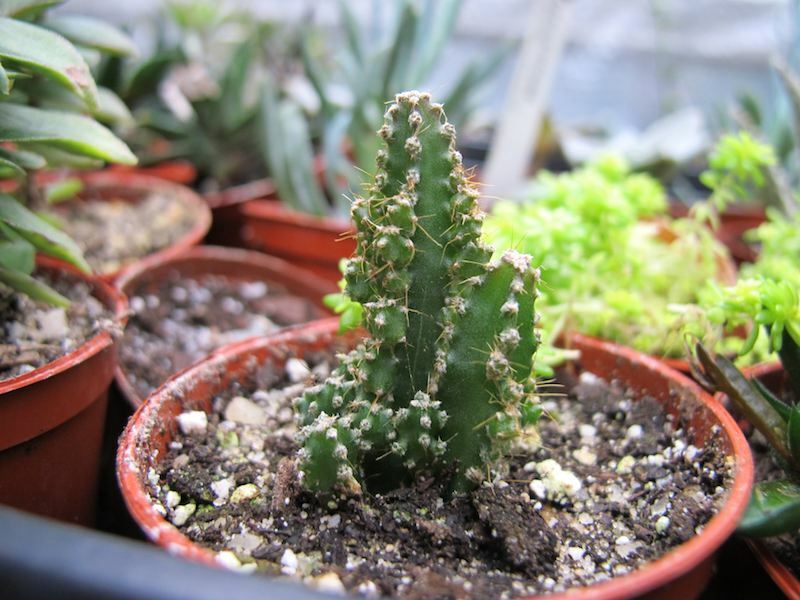 This is a cactus-like plant that Neville Longbottom gets for his 15th birthday from his Uncle Algie (a nice spoof on the name there). It apparently comes from Assyria and is very rare. He is see carrying it into Hogwarts his 5th year and it also shows up in the Room of Requirement which is being used by students right before the Battle of Hogwarts in the last movie. My candidate for the Mimbulus Mimbletonia is this Opuntia sublet monstrose which I have in several sizes. Luna Lovegood wears the fruit of the Dirigible Plum as earrings and in the 7th movie we see her house with a plum tree outside. 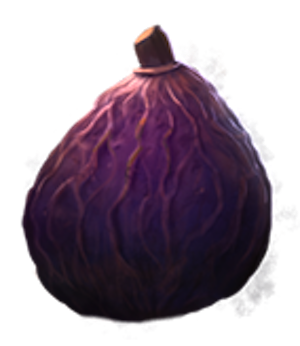 Luna’s father Xenophilius things the Dirigible Plum can enhance the ability to accept the extraordinary.” I don’t have a gnarly tree like this but I saw one last week at Home Depot so if I can get that, I can add the plums which look like little hot air balloons.